Wrapping a car is becoming more and more popular, as it’s a great way to instantly transform your vehicle without having to get it entirely re-sprayed. The Vehicle Wrapping Centre designed and wrapped this VW T5, giving it a truly individual look with a rusty metal effect. It also includes subtle features like bullet holes and rusted vents on the doors which we love! 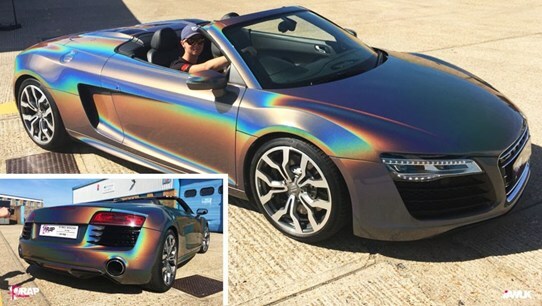 We’re big fans of this metallic purple wrap on an Audi from itsawrapuk. 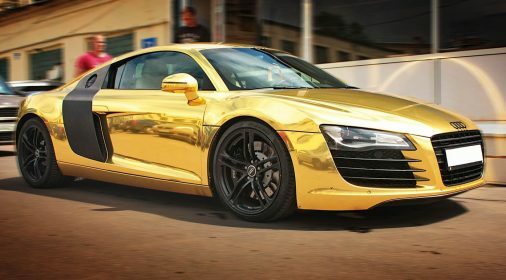 This Audi has landed a place in our best car wraps blog because it looks super slick and classy. It would definitely catch the light and attract attention on a bright Summer’s day. 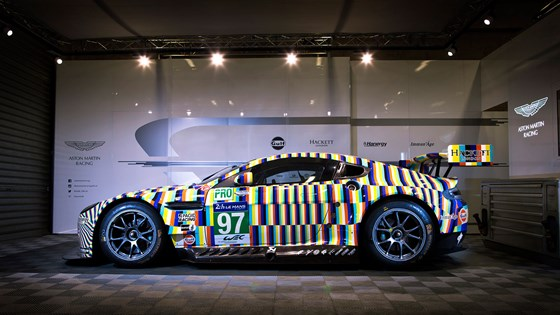 We love this Aston Martin Vantage Art Car, which was unveiled at Le Mans 2015. Artist Tobias Rehberger wrapped this Gulf #97 Vantage GTE in a vinyl of bright geometric shapes. It was designed d to create the cool blur effect of race cars when they drive past at a high speed. Matte black and grey car wraps are a huge trend right now, and we can see why! This Audi TT underwent a complete colour change when it was vinyl wrapped from silver to a matte charcoal grey by Ultimate wraps. Black accents were added to the roof, mirrors, grille and diffuser, and a rear window tint was also added. There’s no doubt that the TT looks incredibly sleek and the wrap has completely transformed the look of the car – it’s definitely earnt its spot in our best wraps list. If you like to stand out and make a statement with your vehicle, this is one of the best car wraps to help you stand out! 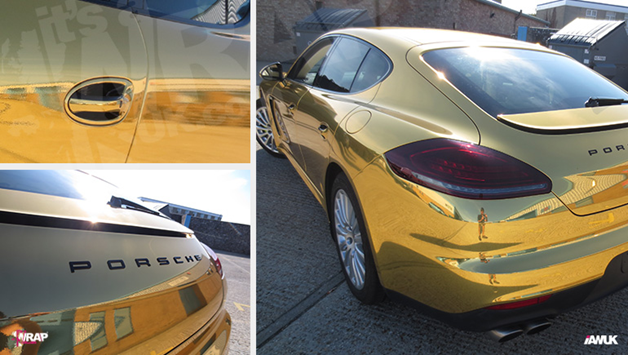 It’s a wrap transformed this Porsche in a rare gold chrome metallic wrap, it’s very ‘out there’, but we have to admit that we really like it. This would definitely get you noticed. TVR originally launched the new Griffith at Goodwood revival in September 2016, and many viewers weren’t a fan of the dark red wrap they had chosen. 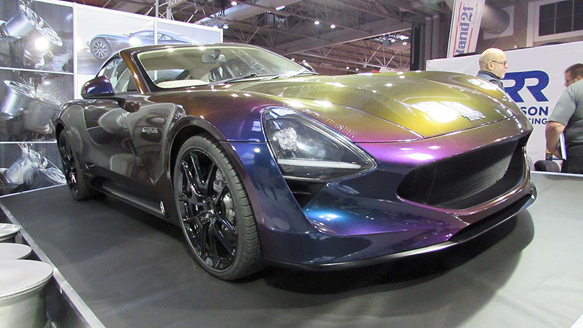 However, in January at the Autosport show, TVR presented the same car wrapped with a reflex finish vinyl, with the colour changing from blue to gold via blue, showed in the image above. It fooled many onlookers into thinking it was a completely different car, in fact it was a wrap developed by 3M which mimicked the paint designs TVR used in the early 2000s. This £50,000-plus Ferrari 456 was paraded around the streets of London recently by it’s Qatari owner, who gave it a unique spider wrap. It certainly stands out, and we think the black wheels really finish off the look! 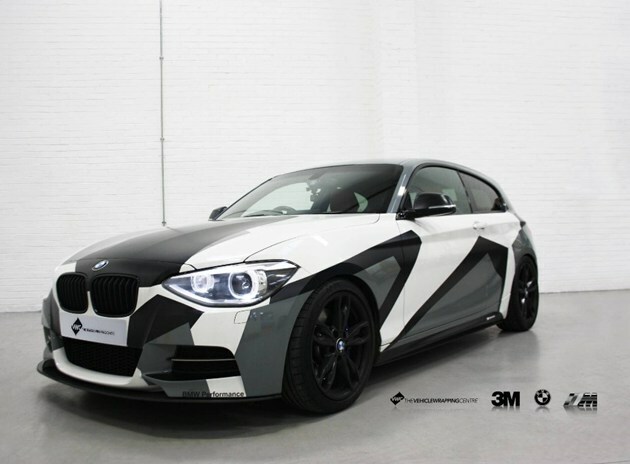 Last but not least in our best car wraps list, is this BMW M135i. We can’t get enough of this intricate, unique design which was wrapped in a John Olsen style at The Vehicle Wrapping centre. There are various types of vinyl wraps to choose from. 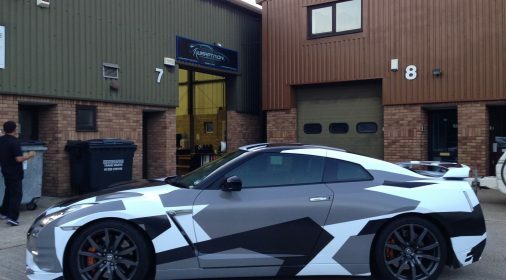 To find out more about vinyl car wraps, including the advantages and disadvantages, take a look at our blog: What is Vinyl Wrapping for Cars? It’s worth noting that vinyl wraps, unfortunately, don’t always cover up paintwork scratches, especially deep cuts. If they are not rectified before a vinyl wrap is applied then they can really ruin the look of the wrap. Generally, it’s best to apply the wrap on a completely smooth surface, so if you’ve got any scratches, scuffs or minor dents that need to be fixed beforehand, enquire with ChipsAway today to get a free estimate. Car Wrapping is certainly a good option if you want to transform the look of your car, however, a ChipsAway repair can also transform the look of your vehicle! 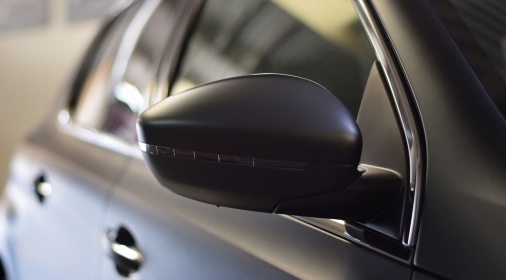 Because we don’t need to re-paint the entire panel, we’re often a fraction of the price of traditional body shops and we can complete repairs at your home or workplace at your convenience. 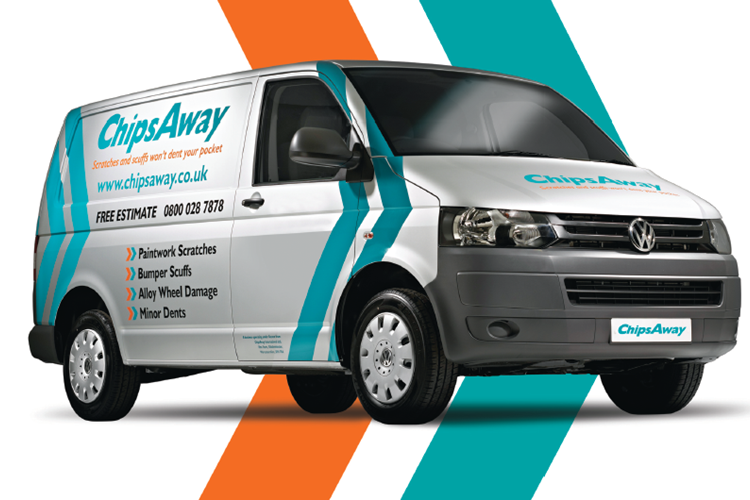 Click here to enquire about a ChipsAway repair today.